It’s easy for parents to understand why they need Bark to help keep their kids safe. But unfortunately, that doesn’t mean their kids will be thrilled about having their online activities monitored! A family is a partnership, and everyone should work together when it comes to digital safety. Talking to your kids about why Bark is so important can get everyone on the same page. Parents and kids don’t always see eye-to-eye, but having these kinds of conversations can actually bring families closer together. Here’s how to talk to your kids about Bark, and how it can help keep them safe online and in real life. Parents have to do everything they can to help protect their kids from the worst of the online world, and monitoring with Bark lets them do exactly that. But that doesn’t mean kids will be thrilled about the decision — they may even get upset. But parents can reach them more easily by using real-world examples to help them understand why Bark is necessary. Parents should give their kids some credit — they’re often capable of handling challenging situations on their own. But they can’t handle everything alone. For times when they’re in over their heads — if they’re being groomed by a sexual predator or if someone is extorting them with inappropriate photos — Bark allows kids to have someone in their corner. Kids should give their parents some credit, too. Parents have their own experiences with the struggles of growing up, and they can offer valuable perspectives on what their kids are going through today. They can even intervene if the situation calls for it. But none of this can happen if they don’t know there’s a problem. Bark alerts parents to potential issues so they can do everything they can to help keep their kids safe. Some kids worry that by allowing Bark to monitor their online accounts, parents will be snooping on all of their conversations. In reality, parents turn to Bark to avoid doing exactly that. Spot-checking devices every night or week is time-consuming and invasive. The beauty of Bark is that it only alerts parents to potential issues. Checking alerts from Bark means that parents don’t have to scour every text, email, or post to social media. This saves parents time and gives them peace of mind, while allowing their kids the freedom to be themselves. And who knows — after Bark is up and running, parents may never have to look at their kids’ phones again! It’s also worth noting that 99.91% of all communications are reviewed only by Bark’s artificial intelligence engine. We do have a trained human review team that works to verify urgent or life-threatening alerts, but kids can rest assured knowing that neither their parents nor the employees at Bark are watching their every move. There’s no shortage of reasons to celebrate technology. It’s also no secret that with new technologies come new challenges. 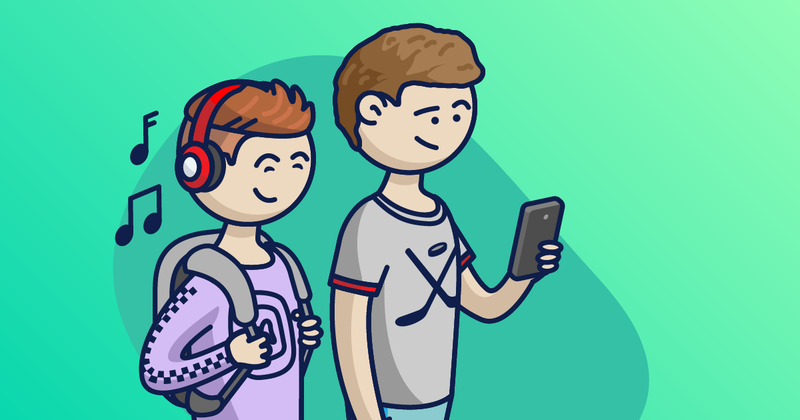 Today’s teens and tweens have never known a life without devices, which means that they have to learn how to be responsible digital citizens. 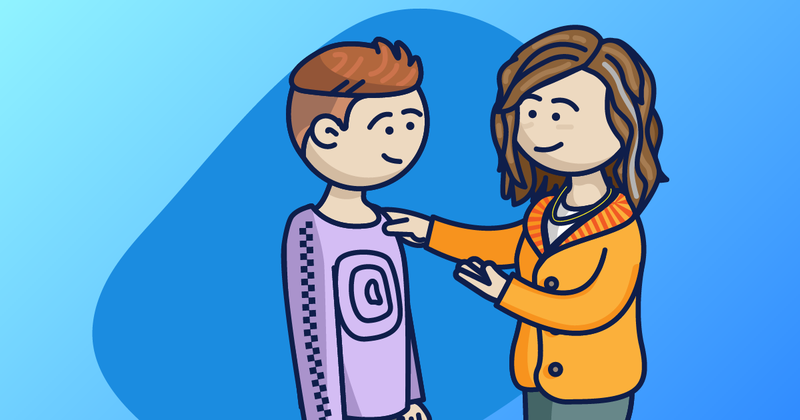 Parents are in a position to guide their development, and Bark can help them not only keep their kids safe online but also connect them with resources for coaching them on the appropriate use of digital technologies. Bark provides families with opportunities to have difficult conversations around what they’re experiencing online. Whether it’s a classmate threatening to bring a gun to school, a friend engaging in self-harm, or witnessing cyberbullying on Instagram, kids need to know how to rise to the occasion. These conversations can be challenging, but they’re worth it. When families team up to foster responsible digital citizenship, they’re setting themselves up for success in the digital age. They can even collaborate on making a technology contract so that everyone can agree on what works best for them. Inviting this kind of openness brings them closer together, as well. Parents entrust their kids with will powerful tools — tools that will allow them to engage with communities across the world. Bark ensures that kids are better protected while they use them. By monitoring texts, emails, YouTube, and 24+ social media platforms, Bark allows families to work together against digital dangers. Sign up today for a free one-week trial!